"There's one thing I always meant to ask Jack, back in the old days. I wanted to know about that Doctor of his, a man who appears out of nowhere and saves the world ... except sometimes he doesn't. All those times in history when there was no sign of him. I wanted to know why not, but I don't need to ask any more. I know the answer now. Sometimes the Doctor must look at this planet and turn away in shame." Well, that's one possible explanation: but there are others. Maybe our intellects are so limited and the Doctor's so vast that it is literally meaningless for us to question him. Maybe we're so degenerate that what seems bad to us is good from the Time Lord's point of view. Maybe the Doctor can perceive all kinds of unintended consequences and knows that there are occasions when saving the world is not the best thing to do for the best of all possible worlds. Or maybe from the right perspective we'll be able to look back and see that during the earth's times of trial and suffering, when we saw only one set of footprints, it was then that the Doctor was carrying us. You expect closing nights to be a bit self-indulgent. Actors thank each other for being so lovely. They give each other flowers, burst into tears, make speeches and maybe play a silly prank during the very, very last encore. Remember the final episode of Logopolis? Having saved the universe from The Master, Tom Baker fell off a telescope and changed into Peter Davison. But Mr Producer decided that it would be a wheeze if, before the big switch-over, the Fourth Doctor's whole life flashed before his eyes. This sequence consisted of a series of clips of enemies and companions from the previous seven seasons all saying the word "Doctor!" Tom Baker had been the Doctor for longer than anyone else and this leant a certain gravitas to his last bow. It also established a precedent: when Peter Davison changed into Colin Baker three years later a series of specially filmed cameos of his former companions hovered around his head, encouraging him not to die. So maybe the epilogue to The End of Time was simply keeping up a noble tradition of flashbacks and cameos and last night pranks. Admittedly he Tom Baker scene lasted a total of 30 seconds and the Peter Davison one for about 50 while David Tennant's curtain call went on for a full twenty minutes. But that's because Russell Davies believes that everything in new Who should be bigger and better than what went before. When he can't manage that, he just settles for bigger. Regeneration was never that big a deal. The Fourth Doctor fell from a great height; the Fifth Doctor consumed poison and the Sixth Doctor - well, lets not talk about the Sixth Doctor. The point is that they were all pretty much standard issue Doctor Who stories which just happened to end with the death of the protagonist. But David Tennant is different. David Tennant is the greatest Doctor of all time. David Tennant has been the Doctor for almost as long as Peter Davison, and even longer than Paul McGann. David Tennant is the only Doctor who people who started watching Doctor Who during David Tennant's first season have ever known. There was a clip of David Tennant pretending to be Santa before every, single TV programme during the whole Christmas period. (Has anyone, even Eric and Ernie, ever had that kind of hype?) He is Britain's best loved actor. He is the definitive Hamlet. So of course his exit has to be specially doom-laden; specially epic; specially long drawn out; bigger and bigger than anything else in the whole history of Doctor Who, ever. Why, exactly did they leave in the two scenes which foreshadow the arrival of a Norwegian prince and then cut the actual scene where the Norwegian prince turns up? Come to that, why leave in the rather irrelevant bit about Fortinbras marching through Poland, if our Dave is only going to get to say the first few lines of "How all occasions do inform against me?" Or let him complain about how the only thing anyone knows about the Danes is that their King holds loud, drunken parties if he isn't going draw the conclusions that the same thing sometimes applies to individuals? And have you ever seen anyone in mental distress doing that thing of pressing the balls of their thumbs on their foreheads? There was certainly a very high quantity of acting. But do BBC 2 audiences really have such short attention spans that they can deal with three hours of the bard, but not four? I remember the days of the BBC Television Shakespeare when the whole evening was given over to unexpurgated Hamlets, with maybe a five minute break for the news headlines at 10PM. Derek Jacobi, who was very nearly the Master, played the Dane; Lalla Ward, who has been married to both Tom Baker and Richard Dawkins, though not at the same time, played Ophelia; Claire Bloom, who everybody but me seems to know is the Doctor's mother, played the Queen; and Patrick Stewart played the King. What's he doing nowadays, I wonder? So. Martha marries Rose's ex (and not the medical student who she was engaged to last time we saw her) because dark-skinned people always marry other dark-skinned people, don't you know. And the Doctor is standing in exactly the right place at exactly the right time to save them from being zapped with a Sontaran zap-gun. And then he's standing in exactly the right place at exactly the right time to stop Luke-from-Sarah-Jane from being knocked down by a car. And of all the bars in all the the towns in all the universe, he walks into the one where Captain Jack and the dopey one from the Titanic who everyone said was a dead cert for the next Doctor (as opposed to the Next Doctor, which I am doing my very best to erase from my memory) are hanging out, so he can play match-maker. There'd been no previous indication that Alonzo was homosexual, but all the best people are these days, don't you know. Has the Doctor been hanging out in one bar after another for thousands of years, content in the knowledge that eventually, Captain Jack and some cute gay guy are bound to sit down next to each other? Has he been observing Sarah-Jane from on high, waiting for the moment when Luke crosses the road without due care and attention? Is there always a Guardian Doctor ready to thump Sontarans in the dorsal vent whenever Torchwood personnel are about to cop it? Or has the Doctor just, without warning, between scenes, developed a magic "be in exactly the right place at exactly the right time" power? It might be argued that the Doctor is always in exactly the right place at exactly the right time or else there wouldn't be much of a series. Even when the TARDIS is malfunctioning or out of control or operated by a randomiser it always dumps him in a place where something really important is about to happen. But the Doctor himself doesn't seem to know this. When he arrives on the Planet Zog he always has to spend some time talking to the Zoggians, working out where he is, when he is, what's about to happen and how to stop it. But now, for these six scenes, he can - what? - use his omnipotent telepathic Time Lord consciousness to survey the whole of time and space, spot the moment when one of Sarah's loved ones is going to step out in front of a car and pilot the TARDIS to exactly that moment without even pausing for one nano-second to agonize about the effect that the life or death of a genetically engineered boy genius is going to have on the subsequent development of the 21st century? But if he can survey the whole of Time and Space and see everything which is ever going to happen anywhere and intervene, then why is saving Luke the priority? What about all the other kids who were hit by cars, in London, on that same day? What would you do if you had a TARDIS and a few hours and could visit any six moments in times and space and interfere with them with impunity. How would you change the universe? Whose lives would you save? If you could go back in time and speak to your only true love on the day before you met her, what would you tell her? What is the one thing the Doctor would tell Rose if he had one more minute with her? Dunno. The idea of the Doctor seeing Rose on New Years Day 2005 is interesting enough. Or rather. The idea that Billie Piper should walk across our screens one last time is interesting enough. Why on earth should you expect anything to lead up to it, or follow from it? In Bad Wolf among other places, it was stated that the Doctor inadvertently destroyed Gallifrey while wiping out the Daleks at the end of the Time War. In The End of Time, it is randomly revealed that the Doctor intentionally destroyed the Time Lords because they had a scheme to turn themselves into gods. He thought that this would be a Bad Thing. 1: RTD had always planned to reveal that the Doctor had lied, or lied to himself, about the reasons for the Time Lords destruction. He has been living this lie, even to Rose, from day 1 and this has informed his personality. Now the truth is out, he will be a very different person. 2: RTD thought the line up on the spur of the moment and just bunged it in because it sounded good? 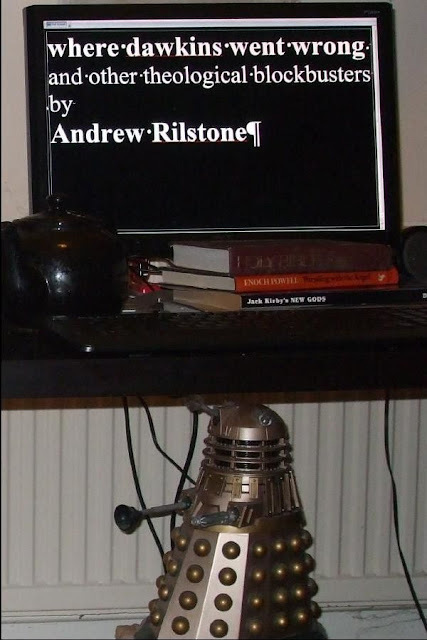 When Bob Holmes needed a legendary founder for the Time Lords (in Deadly Assassin), the name "Rassilon" emerged from his typewriter. He had evidently forgotten, or never known, that there was already a perfectly serviceable legendary Time Lord founder named "Omega". So now there were two legendary Time Lord founders. 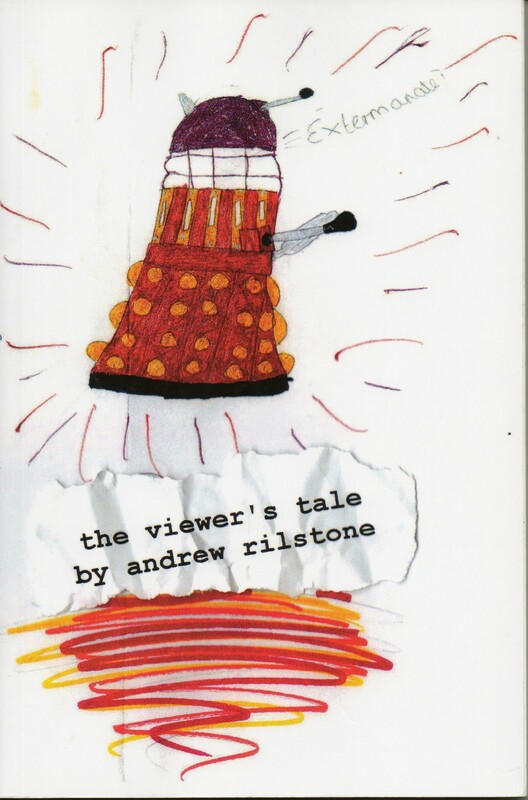 And yes, as it happens, I have read the prologue to Remembrance of the Daleks, and no, I actually don't care very much. 2: RTD thought up the line on the spur of the moment and just chucked it in because it sounded good. Old people always complain that young people's music doesn't have proper tunes. That may be because, when you hear something unfamiliar, you focus on what's unfamiliar about it: you say "This music is all drum beat, where's the melody?" because you are so not-used to music with a drum-beat that you don't actually notice the perfectly good melody behind it. It may even be that very sophisticated modern writers use non-standard, but perfectly valid, musical structures ,so that an old person claiming that pop music doesn't have tunes is in the same position as a western person who is unable to discern the melody in Chinese or Indian classical music. But more often, I think, it's because the young people's music actually doesn't have a tune. It's very natural for teenagers to want to annoy grown-ups, so they very probably play tuneless music, and play it very loudly, precisely because it pisses the old gits off. . So, maybe when I complain that a story which doesn't follow some discernible pattern of cause and effect isn't a "story", I'm simply marking myself off as a grumpy old man who can't see the point of this new skiffle music. Maybe expecting stories to make sense is as ludicrous as expecting poems to rhyme and scan. Maybe this quasi-narrative is what young people want nowadays. But it has to be said that the Archers and Battlestar Galactica and Cranford and Being Human and the Simpsons are all based around what I can recognize as storylines. I was very pleased with Walters of Mars because it was a rather traditional bit of Who (multi-racial scientists on a space station being picked off by alien zombies, forsooth) which also managed to do some things with the character of the Doctor and the format of the programme which hadn't quite been done before. The Doctor started buggering about with the laws of time on a massive scale, and I was genuinely interested to find out what was going to happen next. My guess: a Doctor who is not bound by the Laws of Time is the greatest threat that the universe has ever faced: he himself is the darkness mentioned in the teaser for the next episode. In an ironic reversal, the Master has to destroy the Doctor in order to save the universe. Davies has been building up to this pretty much since the show started. The Doctor would make a good Dalek. The Doctor needs a companion to "stop" him. If the Doctor had the choice of who lived and who died, he'd be a monster. But in fact, nothing happened next. Because nothing in new Who has a consequence. The Doctor's agonizing about what he had done and his yelling about "the Time Lord Triumphant" was just a bit of drama-queen histrionics; a scene which existed because it made a good scene but which had. No. Effing. Point. The problem is not that magic-be-in-the-right-place-at-the-right-time powers undermine the whole concept of Doctor Who. The whole concept of Doctor Who has been written and rewritten many times over the years, and doubtless will be again. The problem is not even that magic-be-in-the-right-place-at-the-right-time powers raise theological difficulties of the type that were troubling Gwen. The problem is that the script does not bother to give us one sentence, one word of explanation of where this new power comes from. It does not even seem to be aware that it is a new power, or that any explanation would be thought necessary. The Doctor can, by virtue of being the Doctor, disregard all normal dramatic rules of cause and effect: if Davies feels like writing a scene in a bar, then a scene in a bar he will damn well write. Nothing leads up to it. Nothing follows from it. There. Is. No. Point. If you spent too much time thinking about the metaphysics of regeneration, your head would explode: although obviously when I say "your head would explode" what I actually mean is that a "special baddie zapping ray would zap out of your head zapping the baddies who were about to kill you and you would go to sleep for a bit and then wake up feeling perfectly all right." Why was the Fourth Doctor followed around by a zombie called "the Watcher" who turned out to be a future version of himself? In what way and for what reason did the Fifth Doctor's regeneration feel "different"? Why did the Seventh Doctor spend several hours in a mortuary being mostly dead? Why was Romana able to try on bodies like clothes? Why was the Valeyard? The simple view of "regeneration" is that a Time Lord's body can, from time to time, repair itself from the inside, but that this process also jiggles up his personality. The Virgin Novels thought that this was due to itsy-bitsy teen-weeny nano-machines in their blood. It's not quite true to say that the current notion of "regeneration" was only established as dogma in the final episode of Planet of the Spiders. Yes, it was sometimes implied that Troughton was simply a younger Hartnell and Pertwee was simply Troughton with a different face, but as far back as The Three Doctors there seems to have been an idea that each version of the Doctor is a distinct person. And there is also a half-articulated notion that each of these people continues to exist in some limbo or afterlife or that they have some kind of pre-existence. * In the TARGET novelization of the Five Doctors, the First Doctor is discovered pruning his roses in a garden. "The Doctor" we are told "Sensed that the end was near: he had come to this place to prepare himself, to say farewell to a body and a personality almost worn out by now, to prepare himself for the birth of a new self." Does this mean that the First Doctor, in his malfunctioning TARDIS, somehow left Ben and Polly by themselves at the South Pole, nipped off for a quick burst of meditation and horticulture, and then piloted himself back into the continuity before anyone had noticed? Or is Terrence Dicks pointing at some more metaphysical idea: that the Doctor in the rose-garden is in some kind of limbo state between regenerations - almost as if the dead First Doctor spends some time in the afterlife before Reincarnating in his new body? * In the novelization of the Tenth Planet, the Second Doctor introduces himself as "the New Doctor", as if he was a different chap taking over the position, rather than the same fellow with a slightly different physical appearance. * In the Five Doctors and the Two Doctors, the Second Doctor appears to have knowledge of events which happened in The War Games - which makes no sense if he's simply been plucked out of time at some point prior to his regeneration. Did Robert Holmes have some notion of Doctor Patrick being borrowed from an "afterlife" in which he continued to exist after turning into Doctor Jon? * In the possibly not entirely canonical Dimensions in Time The Fourth Doctor sends out a "mayday" message to "all of the Doctors" - past and future - as if they were different people from himself. * In "Trial of a Time Lord" (I know, I know) the Valeyard is pointedly not "the Doctor at some time in the future when he has turned evil", but "a distillation of his evil side, somewhere between his twelfth and thirteenth regeneration". This may be entirely meaningless - most of Trial of a Time Lord was - but it perhaps it suggests that the production team had some notion that regeneration was something more complicated than a simple sequence of transformations. * And notoriously, in Destiny of the Daleks, an upstart named Adams who had no idea at all about comedy or science fiction wrote a scene in which Romana went through a sequence of transformations before settling on one she liked. It's open to question as to whether this was intended to be a "regeneration" (or if Adams knew, or cared, what "regeneration" was) - it may just have been a surreal scene to explain the fact that the lead actress was changing. But if it was meant to be a "regeneration" in the established sense, then she appears to be getting her bodies from somewhere. So: maybe Time Lords by their nature enter into some interim, hinterland state between "lives". Maybe the First Doctor, spends his limbo-time pruning the roses; where the Twelfth Doctor spends his conspiring with the Master and pretending to be a lawyer. Maybe, in between his Fifth and Sixth lives, the Fifth Doctor becomes the Watcher to help himself come into being. Maybe it's the First Doctor, in his after-life in the rose-garden, who appears on the monitor in The Three Doctors; and it would sort out a lot of continuity problems if the three post War Games appearances of Patrick Troughton were not part of the Second Doctor's time line but somewhere between the second and third regeneration. So maybe the omniscient Tenth Doctor who flits around the universe is a sort of ghost, projected forwards and backwards in time, like the Watcher and the Valeyard. Maybe all Time Lords make this kind of final journey, and we're just witnessing it for the first time. Or maybe I'm making it all up out of my head and radiation just happens to kill you more slowly than a bullet in the chest does and the Doctor knows he has a few hours before he "dies" and decides to use them constructively. I'm sure that fans can come up with any number of fan fictional explanations which make perfect sense. But they shouldn't ruddy well need to. Huge parts of the plot were vague and problematic.....Of course in science fiction you can basically make it up as you go along. Strictly between you and me, I haven’t the faintest idea what’s going on....Still, no matter because it’s just as enjoyable to let this whole story, picking up from the Christmas Day special, simply wash over you. You probably had to be a Time Lord yourself to make sense of the dizzyingly complicated plot...But this barely mattered: the episode charged forward with such apocalyptic brio it was hard to be unduly worried about what, precisely, was going on. There are some sniffy people in the TV industry who have asked, archly why I am now writing genre instead of drama. Obviously they have never watched a single episode of Doctor Who. It's the best drama in the world. A collection of my writing from this forum and its predecessor is now available in book format from this address. ...and a couple of smaller pieces. Buy a copy for your favourite biologist. Or your least favourite bishop. ....,and don't forget that my extended review of Watchmen is still available from the same outlet. See also: "blogger spotted failing to actually clap in time with the band."